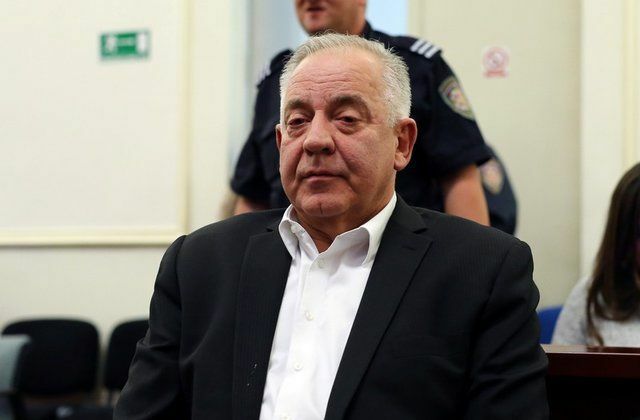 Former Croatian prime minister, Ivo Sanader, was sentenced to two-and-a-half years in prison on Monday for taking a bribe from Austria’s then Hypo Alpe Adria bank during the 1991-95 war. The judge said Sanader received 3.6 billion kuna ($557.13 million) from Hypo when he was deputy foreign minister - an act that she said amounted to war profiteering. He then cleared the way for the bank - which has since collapsed - to loan Croatia money to buy buildings for embassies and consulates, the judge added in a statement broadcast live on state TV. In a separate re-trial set to begin on Tuesday, Sanader is charged with taking a bribe from Hungarian energy group MOL in 2008 to let it get a dominant position in Croatia’s energy firm INA. MOL’s chief executive Zsolt Hernadi is also charged and will be tried in absentia.